What's more traditional for Easter than a milk chocolate bunny? 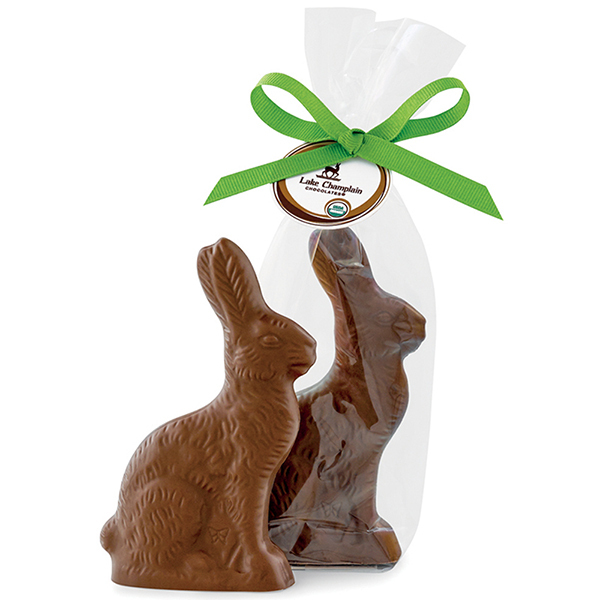 Crafted from solid organic, fair trade milk chocolate, this rabbit is ready to be the centerpiece of every Easter basket. INGREDIENTS: MILK CHOCOLATE (SUGAR, MILK POWDER, COCOA BUTTER, CHOCOLATE LIQUOR, SUGAR, COCOA BUTTER, AND VANILLA EXTRACT). Contains milk. May contain traces of peanuts, soybean, tree nuts, and wheat.